It’s been a great start to 2016! My grant writing is paying off, and two Canadian operas that I was in got great Opera Canada reviews! After a successful tour with Crossing Borders, it’s time for more contemporary music– and, this time, OPERA :)! Read more about my upcoming show in Toronto with Essential Opera HERE. For photos of the Crossing Borders: Realities Blurred tour in Philly and Toronto CLICK HERE. I’m also thrilled to announce that my project Lady of the Lake with Simon Docking, Jon-Paul Décosse, Fiona Ryan, and Leaf Music Inc. got the #FACTORFunded seal of approval! We record this project in October and I could not be more excited! In other grant news, the SOCAN Foundation has funded four recent and upcoming projects! Thank you, SOCAN! Time of Trouble by Elizabeth Raum, libretto by Rex Deverell, with Maritime Concert Opera, October 2016. Composer Elizabeth Raum and librettist Rex Deverell, both with connections to Mount Saint Vincent University, were intrigued by the history of the institution and the Order of the Sisters of Charity who founded it. They composed a dynamic, sometimes quite humorous, opera with a fully developed plot and real personalities. Soprano Maureen Batt, as Mary McGuire—later to become Sister Francis and then Mother Francis—filled the church with her rich, warm sound and masterful acting. Aunt Helen by Monica Pearce and Serva Padrona by Pergolesi with Opera Nova Scotia, May 2015. 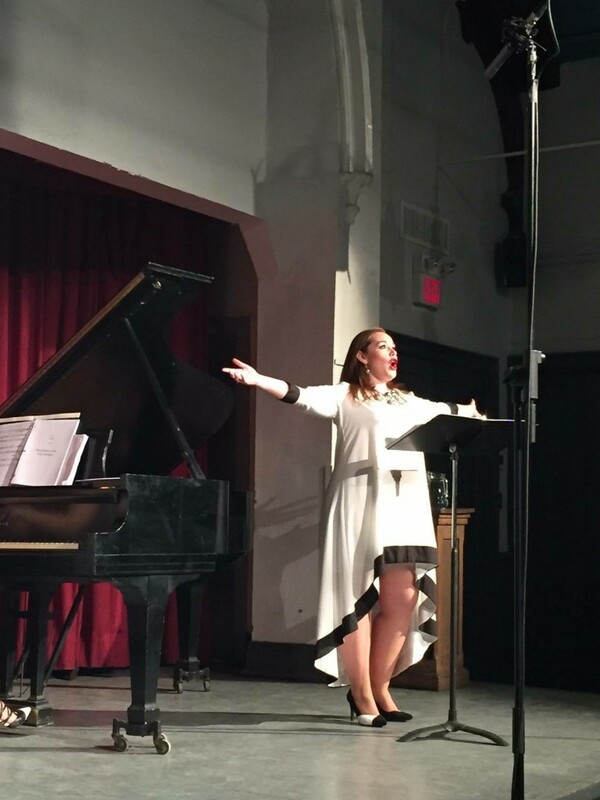 Soprano Maureen Batt sang the role of [Helen] Creighton, a prominent folklorist who published books on Nova Scotia lore and collected more than 4,000 traditional songs and stories. The character of Aunt Helen is alone on stage, now in her 70s and talking about her life to an unseen interviewer. The original score, with some Nova Scotian folk music interspersed through it, is attractive, and Batt brought a warm and very pleasing voice to her performance. The third opera was Pergolesi’s La serva padrona, with Batt returning to the stage as Serpina, the receptionist who would like to rule the company and its boss, bass-baritone Jon-Paul Décosse. The music was enjoyable and the singers quite impressive. She’s the One with Essential Opera!